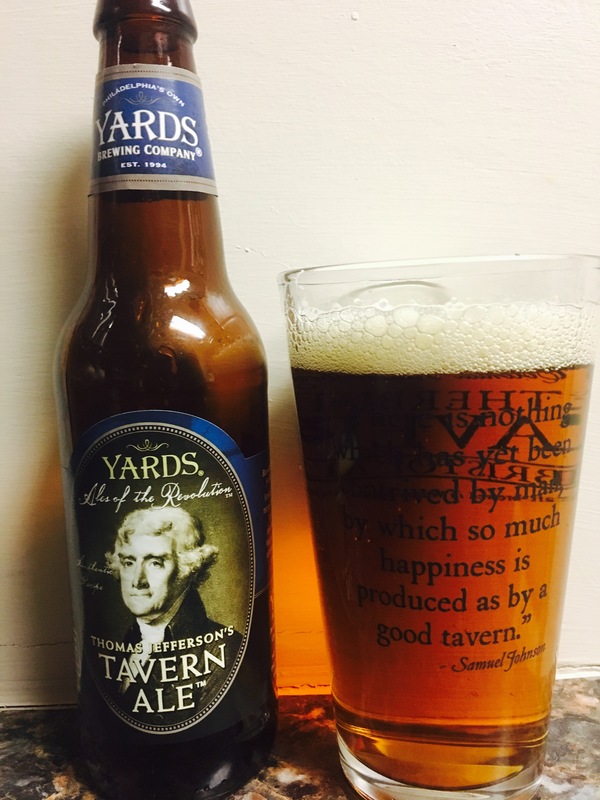 The Yards brewing company Philadelphia, Pa delivers the authentic recipe of one of our countries founding fathers. The “ales of the revolution” Thomas Jeffersons Tavern Ale is distinctly different and good! The dark copper color and modest scent might lead you to believe this is nothing special..but wait for the taste. It’s smooth, malty and sweet, it has a hint of honey as well. It is very, very good. Add to the fact that this Ale packs an 8.0% Alc content and we have a winner! 4.5 stars.